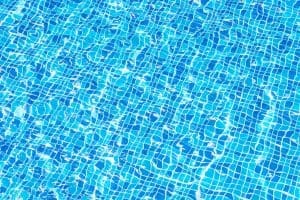 Ever feel like there’s something missing as you perform your endless laps up and down the pool? Waterproof (or underwater) MP3 players allow you to listen to your favourite tunes without having to worry about potential water damage to your device. Whether it’s for enjoyment or motivation, these little devices have the ability to transform your mundane swimming ritual into the highlight of your day. In this article, we’ll be looking at the best waterproof MP3 players, comparing them side-by-side to see which one is right for you. 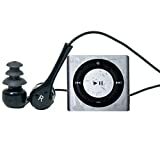 The following mp3 players have been chosen for comparison since they’re regarded as the most popular options among pool owners today. 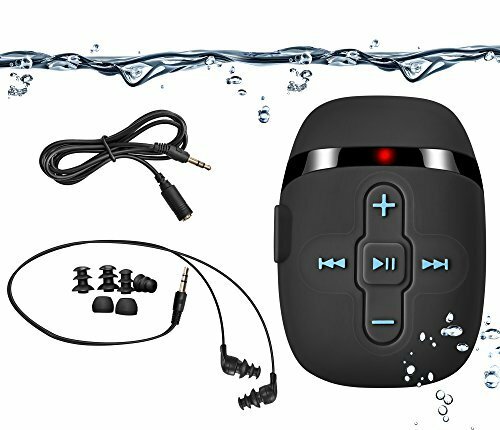 Why You Should Buy A Waterproof Mp3 Player? There are a number of reasons to get yourself one of these, and if you’re reading this buyer’s guide, you’re no doubt aware of at least some them. 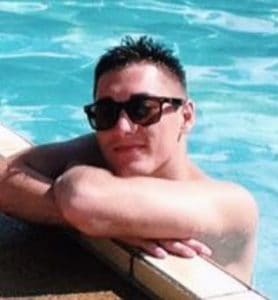 Sound quality: There’s nothing worse than having to play your music from the pool sidelines, only to have it muffled by the sound of the water crashing against your face. Waterproof MP3’s are direct-to-ear, meaning you get the possible sound experience. Motivation: Nothing pushes you to the next level like a well-timed playback of ‘Eye of the Tiger’ or ‘The Final Countdown’, and you’ll be amazed at just how many extra laps you can squeeze in with the right music to keep you going. Comfort: You’d be forgiven to think that having an MP3 player attached to your body and earphones in your ears while swimming would be a tad uncomfortable, but they’re so small these days you’ll forget they’re even there after a few minutes. Learning: If you’re not feeling the vibe and prefer something a little more “educational”, waterproof MP3 players can also be used to listen to to your favorite podcasts or audiobooks. Water-Resistance: Duh? Unlike traditional MP3 players, their waterproof siblings won’t self-destruct in the water. Seriously, I’ve seen a guy swimming with his MP3 player in a plastic sealable bag. Please, don’t be that person. Why You Shouldn’t Buy A Waterproof Mp3 Player? Not every purchase makes sense for every person in every situation, which is why I’m also going to list off reasons why you might decide AGAINST getting it. Main Device: While you could use a waterproof MP3 player as your main device, I’d be more inclined to recommend you get a regular MP3 player since there are a lot more (and better) options for out-of-water use. Going Deep: Most waterproof MP3 players are only capable of surviving depths of up to a few metres, so I wouldn’t bother getting one if you’re planning on exploring the hidden depths of the ocean. What Types Of Waterproof Mp3 Players Can You Buy? 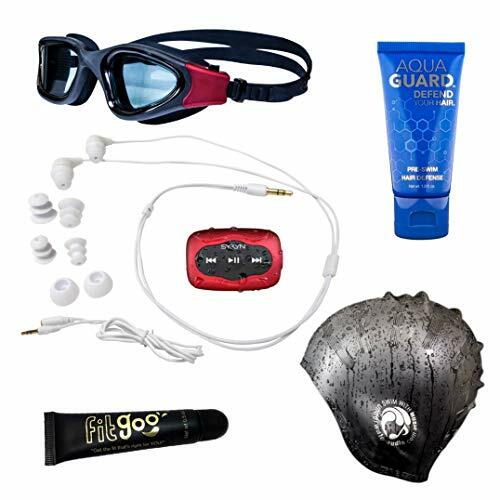 When looking at the different types of waterproof mp3 players available, it can sometime be hard to know exactly what to go for. These are the more popular sci-fi looking players where the earphones and the player itself are combined into a single device. The obvious benefit is the absence of any wires that can be a nuisance while swimming — though many of these models are technically not wireless since bluetooth doesn’t work underwater, they’re just housed more efficiently. The downside, however, is that it’s a fixed unit that doesn’t allow you to swap out for a different pair of earphones if need be. If you’re not happy with sound quality, volume or the feel of the buds, you’re stuck. This is why it’s advised to spend more on these types of MP3 players to make sure you’re getting the best quality possible, since there’s no way to make a partial upgrade. If you’re happy to invest a bit more into a decent wireless MP3 player, this will probably be the better choice. The wired version of waterproof MP3 players are made up two parts: the body, which is strapped to either your arm or swimwear, and, of course, the earphones. In most cases, waterproof earphones are provided with the player, and will be equipped with a standard 3.5mm jack. One of the biggest benefits of using an external device over an internal one is being able to use your own (waterproof) earphones. Whether it’s to improve the sound quality, volume or the comfort of the buds, having this option is always handy. On the other hand, you do have to keep in mind the added inconvenience with the wire going from your ears to your body — it’s just not quite as tidy as an “wireless” MP3 player. These models are also typically (but not always) on the cheaper side in comparison to wireless, so if budget is a concern, you’ll probably be more inclined to go this route. Anyway, if you really wanna narrow down your options, you have the look at what makes a great waterproof mp3 player, well… great. Storage: The storage capacity is the ceiling on how many tracks your device can hold, so if you plan to keep loading tracks onto it for years to come, you better make sure you have the space. Sound Quality: Even if you could fit half the world’s music on your MP3 player, it’s worthless if it sounds like nails on a chalkboard. This is especially important for internal players because the earphones cannot be changed. Durability: This is a huge factor for any device, not just MP3 players, but in this case I’ll also be looking at the level of water-resistance, capable depth, and typical life expectancy. Storage — How Many Songs Can It Hold? Storage capacity for most devices—including waterproof MP3 player—are almost always measured in gigabytes (GB). 1 gigabyte is approximately to 1,000 megabytes (MB), and a typical music file will be around 4-5MB in size. From that, you can expect to hold around 200-250 songs for every 1GB, and considering you can now buy these devices with upwards of 8GB storage capacity, you’re potentially looking at close to 2,000 songs at your fingertips. Of course, not everyone has a library that large, but you’d be surprised at how quickly your selection can grow as you start to build it up over the years. If you’re anything like me, you’ll agree that deleting music is a painful process. Considering how marginal the cost is to go from, say, 2GB to 4GB, it’s always a good idea to future-proof yourself so you don’t have to worry about running out of space any time soon. Note — Whether you’re buying an MP3 player, a laptop, or any other device with data-storage, you’ll never quite get the full capacity advertised. This is because it doesn’t account for the system files that are required for the device to run. ​Quality — How Does It Actually Sound? For many, this will likely be the single most important factor when buying a waterproof MP3 player, aside from the actual waterproofness (is that a word?) of course. I don’t want to get too much into the technical side of this as that could be an article by itself, and fortunately for both of us, I don’t have to. While many people will tell you to look at things like the frequency response, impedance, and sensitivity, in reality, the specifications hold little weight when it comes to human testing. While I’m inclined to give you the old spiel about “you get what you pay for, yada yada”, but that’s not exactly true in all cases — though definitely a good rule to follow in my experience. There’s no better way to evaluate sound quality than to trust in people who have already used and tested it. That’s why I’ll be scoring these earphones based on real feedback from real people. The third and final key thing to consider is durability. Not just how long it will last (although I will be looking at that), but also how much of a pounding it can take before calling it quits — especially in terms of water-resistance and depth.Perhaps the easiest way to avoid ending up disappointed is to go with a trusted brand, and one that has a track-record of manufacturing high-quality products. When it comes to waterproof MP3 players there a number to choose from, including: Sony, Diver, Sigmatech, Toyago and Pyle. Apart from Sony, these aren’t exactly household names and that definitely makes it a difficult market to decipher in terms of reputation and product quality. Aside from that, I can’t help but go back to my previous point on spending more upfront. That way, not only is it much more likely to sound and perform better, but it will typically last longer as well. 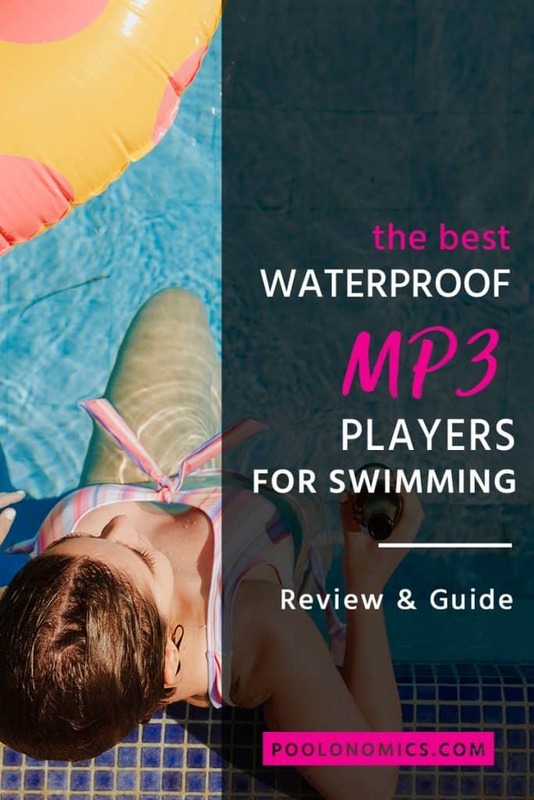 The points above are, in my opinion, the most important things to consider when it comes to buying a waterproof MP3 player — and these will make up the bulk of my product ratings below. Stability: Some underwater MP3 players are less “sticky” than others, meaning they’re more likely fall out of your ears when swimming — and nothing breaks rhythm faster than pulling the plug on a hot jam. Playback time: It’s no good bringing an MP3 player with you to the pool if the battery is always dying on you last minute. A great battery ensures enough playback time to keep you going for at least a few sessions a time. Comfort: As with any direct-to-air music player, the way it feels in (or on) your ear is something you rarely consider until it’s too late. Compatibility: Whether it’s file types, memory cards or computer compatibility, it’s important to know that you’re new MP3 player will meet all of your technical requirements. Ease of use: This includes things like transferring your music onto it, creating playlists, changing the track and even adjusting volume. Now that we’ve covered what to look for in a waterproof mp3 player, you’ll be able to use the comparisons below to make a more informed decision about which makes sense for you and your needs. 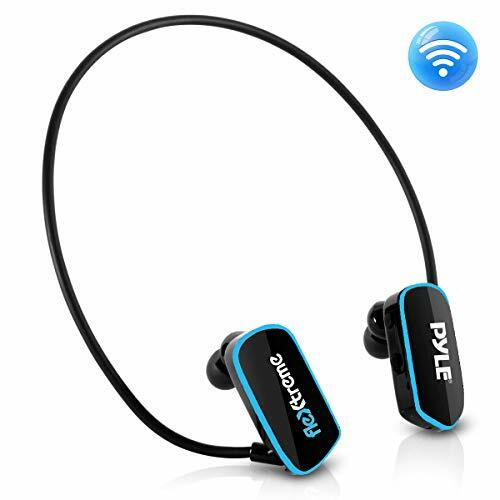 This is the Flextreme wireless, waterproof MP3 player from Pyle, and it comes with 4GB of flash storage, supporting MP3, , file types and can be used with both Windows and Mac operating systems. Despite the relatively low price tag, this is still one of the better sounding players on the market as it manages to hit those highs nicely (treble), although some say it’s completely lacking on the low end (bass). One of the issues with this model, however, is that it can be a pain navigating your files to get to a particular track. If you have a large library, it could end up taking you more than just a few clicks. This iPod Shuffle waterproof MP3 player from Apple is available in 12 (mostly vibrant) colors and comes with a somewhat low to average 2GB of storage. Unlike most MP3 players, it relies on iTunes to transfer music onto the device, which means it’s supported by the same file types as iTunes — MP3, AIFF, WAV, MPEG-4, AAC and M4A — and can be used with both Windows and Mac operating systems. This thing really packs a punch in terms of both build and sound quality, as well many users commenting on just how stable the earphones are in their ears during a swimming session. As with any Apple product, it comes a premium but it’s often worth it for the level of quality you’re actually getting. Besides, it’ll be a while before you need buy another. This NWWS413LM waterproof MP3 player from Sony is available in 2 colors, comes with 4GB of storage, supporting MP3, WMA and AAC file types, and can be used with both Windows and Mac operating systems. There aren’t too many good things to say about this product, especially considering how overshadowing the negatives are. …it’s probably best to just save yourself the hassle and avoid this one altogether. 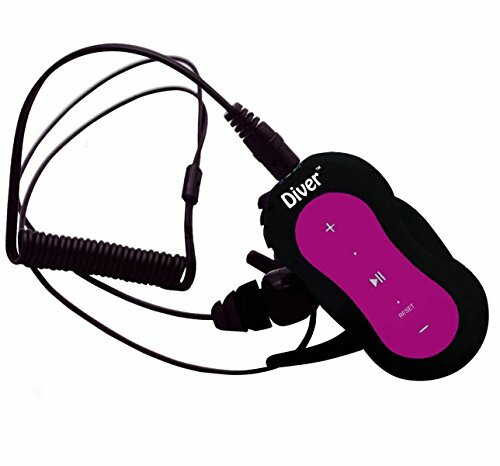 This waterproof MP3 player from Diver is available in either pink or blue, comes with 4GB of storage, supports MP3 and WMA file types, and can be used with both Windows and Mac operating systems. You’ll have no complaints about the overall sound quality of the earphones includes, though they’re not the loudest on the market so, if like me, you like to destroy your eardrums, it may not be for you. On sticky point is with putting music onto the device, and while you’ll be pleased to know it’s plug n’ play (no annoying software necessary), you will have to make sure you music is in either MP3 or WAV format. That means, if you have all your music in iTunes, you will have to manually convert your tracks before it will work on this device. Otherwise, it’s a very straightforward process. This waterproof MP3 player from Sigomatech is available in 4 different colors, comes with a spacious 8GB of storage, supports MP3, WMA and WAV file types, and can be used with both Windows and Mac operating systems. The short cord is a nice touch, giving you just enough length to stay practical without getting in the way. It also comes with a shuffle play and sequence play, which is always useful when your playlist becomes repetitive. Like the last product, this one will not work directly with iTunes, so if that’s where all your music is stored you will have to manually convert those. If you’re music is already in the form of an MP3, WMA or WAV file, you’ll find transferring them over a breeze. 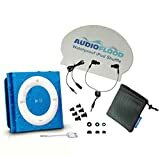 This iPod Shuffle waterproof MP3 player from Audioflood is available in 6 colors, as 2GB of storage, supporting MP3, , and file types and can be used with both Windows and Mac operating systems. Unlike other products in this list, this one actually includes a swim cap, carry bag, charger cable and four ear piece sizes so you can get the most comfortable fit. 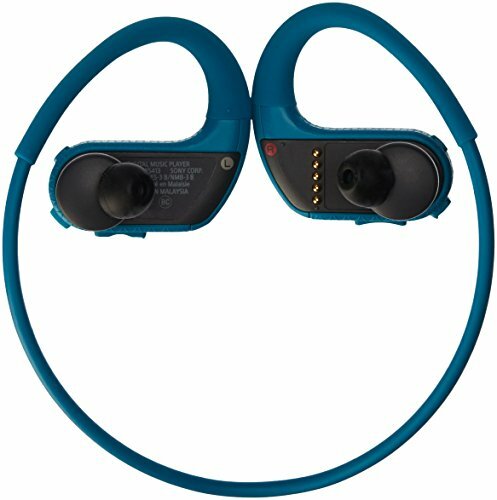 The player itself also features a built-in clip that allows you to quickly and easily attach to your goggle strap or bathing suit. This waterproof MP3 player from SYRYN (with Swimbuds earphones) comes with a very spacious 8GB of storage, supporting MP3, , and file types and can be used with both Windows and Mac operating systems. The actual MP3 player is plug and play, meaning you can pop it into your computer and start dragging the supported file types onto it with no BS conversion software to stand in the way. Like many of the products in this list, if you use iTunes, you will have to have convert those to the appropriate file type before transferring over. You should be able to do it at no cost, however. 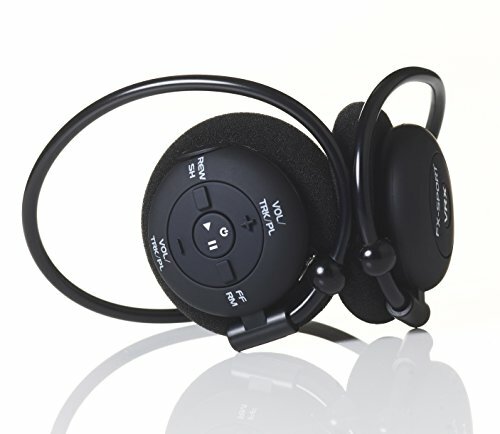 These VRX waterproof headphones from FX-Sport comes with 8GB of storage, supporting MP3, WMA, and M4A (iTunes format) file types and can be used with both Windows and Mac operating systems. One of the unique things about this model is that it has built-in text to speech software, meaning the device will, on request, read out the song title, album name, battery life, etc. Unlike many waterproof MP3 players (or headphones), these also allow you to adjust the bass and treble, which is handy if you’re looking to take advantage of the fantastic sound quality that comes out of this thing. This particular model is sweat-proof, and requires silicone case to work in a swimming pool which means an additional purchase. Since this is a buyer’s guide for swimmers, I did remove a star on that basis. 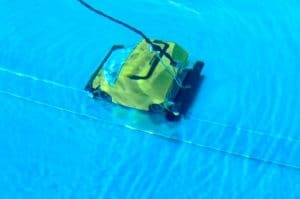 Unlike most swimming related products, finding your musical swim-companion takes a good level of research and understanding in order to make a decision. The right decision. The good news is, if you follow this buyer’s guide (and check the reviews) from start to finish, you’re already in a much better buying position than most.